If you read our past blog posts, you probably gathered that we believe creating a well-defined strategic framework is one of the most important activities in executing your product development system. How do you realize the New Year’s resolution of implementing a well-defined strategic framework? It starts with your senior management team. If they don’t see it as important, it probably won’t work. We have seen product managers attempt to build their product strategies and roadmaps in a vacuum, and it is generally a wasted effort since priorities change so frequently at the top. How do you engage senior management? Work with them to understand the importance of building the business/enterprise, business model and innovation strategies that help inform your product strategies. Send them our white paper on the strategic framework, or just print it out and highlight the key points within the white paper so they get the hint (you may want to place it on their desk while they’re gone). 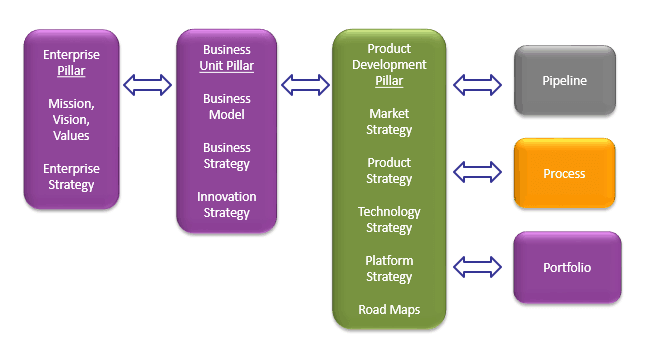 The s2m strategic framework may appear to be complicated to some, but over the years we have determined that all of these components of the framework are equally important in driving an optimized product development system. Want to learn more about the s2m strategic framework? Please download our whitepaper on the s2m Strategic Framework here. We wish you the very best in 2016.